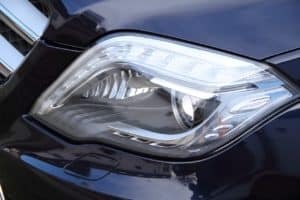 With so many quality cars on the market, new and used, you may wonder whether purchasing a luxury car like the Mercedes-Benz GLS is worth the money. The answer is indisputably yes. With a Mercedes-Benz, you can always count on high-performance, great safety features, and the most up-to-date technology available. Here’s why you should consider a pre-owned Mercedes-Benz GLS in San Antonio, TX, for your next vehicle. The V6 and V8 engines get the most torque out of as little gas as possible, giving you power while being as efficient as possible. You can drive in comfort or sport style, for whichever fits your mood. The Mercedes-Benz GLS also has a four-wheel drive that can handle any weather conditions, whether you’re in San Antonio, TX, or Anchorage, Alaska. It’s easily one of the best SUVs on the market. The Mercedes-Benz has a variety of features that make the car safer to drive. It has radar-based Active Break Assist, which monitors the distance between your car and the one in front of you, and helps you apply the right amount of breaking to avoid accidents. It also comes with DISTRONIC® adaptive cruise control that matches your cruise control speed to the flow of traffic and automatically brakes if needed. The car’s systems help to keep you and your passengers safe by sensing danger before you do. The Mercedes-Benz has stunning technology inside. Its central touch screen is eight inches in length, so you can see menus and navigation in full color. There are also screens on each headrest so that passengers in the second row can watch movies or play games. Each screen has its own remote so that the passengers can watch and play together or separately. The car also comes with WIFI, so you can stay connected everywhere you go. When you purchase a Mercedes-Benz, you are not just buying the car. You also buy the brand and the elegance that comes with it. 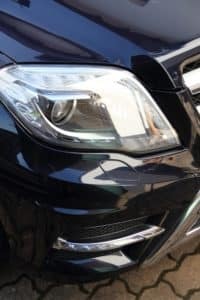 Mercedes-Benz vehicles are known for their luxury, with comfortable interiors, gorgeous exteriors, and sleek performance. It commands respect and awe every time you drive it. You don’t have to be rich to afford a Mercedes-Benz. A certified Mercedes-Benz GLS can be purchased used in cities like San Antonio, TX. A high-quality car tends to stay at high-quality, even if it’s already been driven for a few years. In a pre-owned Mercedes-Benz, you can depend on the car to be top notch and still perform well. If you’re looking to buy a used Mercedes-Benz GLS, check out the dealership in San Antonio, TX. They can offer low prices and great quality used vehicles. They inspect every used vehicle to make sure it is still up to high standards.